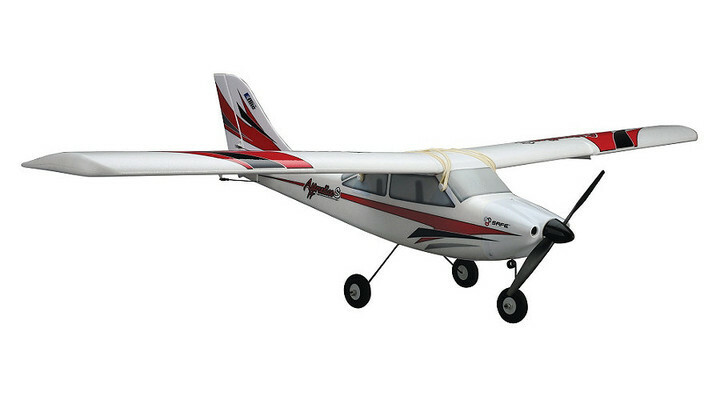 E-flite's Apprentice Plug-N-Play is a 15-size high-wing club trainer that comes with nearly everything you need to go from purchase to the flying field. No building required - just charge and install your battery, mount the wing and tail surfaces and fly by utilizing your own transmitter and receiver. The Apprentice is made from durable, lightweight Z-Foam, making it tough enough to handle the punishment of early training mishaps without getting bent out of shape. When using the recommended E-flite 11.1V 3200mAh battery, you can expect extended flight times of 15 minutes or more. 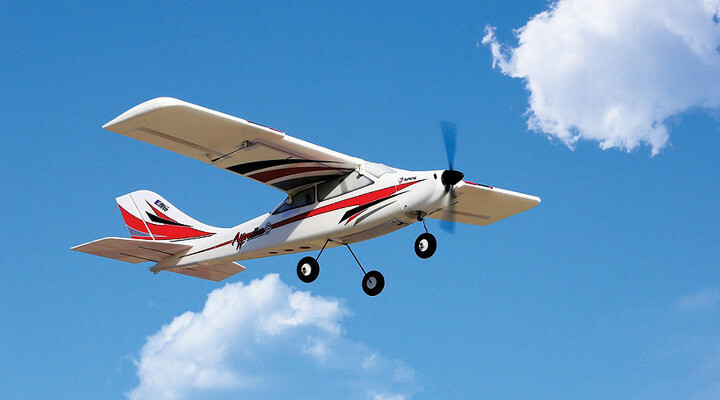 The Apprentice is the perfect training aircraft thanks to its gentle flight characteristics. Once the pilot has learned the basics of flight, the Apprentice is capable of performing loops, rolls, inverted flying and other aerobatic manoeuvres. It's also equipped with tricycle landing gear for better ground handling.